Over the years Dan Perkins Construction has gained a multitude of knowledge in our fields of expertise. Dan Perkins shares this knowlede with the world by publishing articles in some of the industry’s top trade magazines. These articles are available below. Check out my interview, An Overview of Metal Roofing on Michigan Homes, one of the top sites for Michigan Homes New Construction, includingClinton, MI Real Estate. Michigan Homes also services PA Realty and Wisconsin homes for sale. 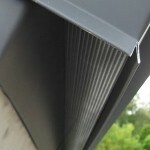 Ventilation – Addressing Ice Build-Up– Written by Dan Perkins and published inMetal Roofing Magazine.